The Inuit are a group of culturally similar indigenous peoples inhabiting the Arctic regions of Greenland, Canada and Alaska. Inuit is a plural noun; the singular is Inuk. The Inuit languages are part of the Eskimo-Aleut family. Inuit Sign Language is a critically endangered language isolate spoken in Nunavut. 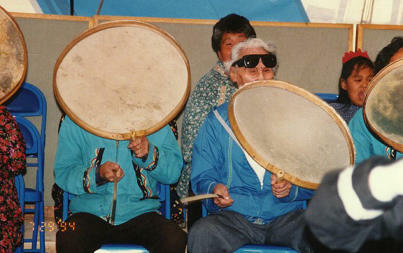 In the United States and Canada, the term "Eskimo" was commonly used by ethnic Europeans to describe the Inuit and Alaska's Yupik and Iñupiat peoples. However, "Inuit" is not accepted as a term for the Yupik, and "Eskimo" is the only term that applies to Yupik, Iñupiat and Inuit. 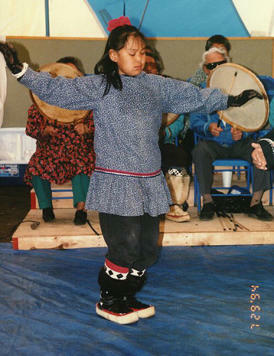 Since the late 20th century, aboriginal peoples in Canada and Greenlandic Inuit consider "Eskimo" to be a pejorative term, and they more frequently identify as "Inuit" for an autonym. In Canada, sections 25 and 35 of the Constitution Act of 1982 classified the Inuit as a distinctive group of Aboriginal Canadians who are not included under either the First Nations or the Métis. The Inuit live throughout most of Northern Canada in the territory of Nunavut, Nunavik in the northern third of Quebec, Nunatsiavut and NunatuKavut in Labrador, and in various parts of the Northwest Territories, particularly around the Arctic Ocean. These areas are known in Inuktitut as the "Inuit Nunangat". In the United States, the Iñupiat live primarily on the Alaska North Slope and on Little Diomede Island. The Greenlandic Inuit are descendants of ancient indigenous migrations from Canada, as these people migrated to the east through the continent. They are citizens of Denmark, although not of the European Union.